PM Modi's comments on demonetisation assume significance as all major opposition parties have attacked on the move, alleging that it had severely damaged the Indian economy. 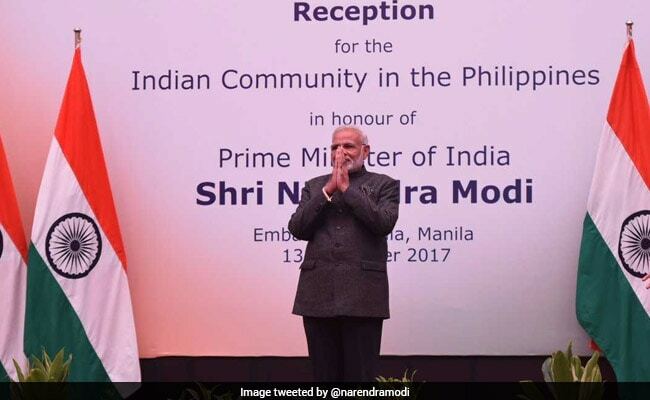 Manila: The demonetisation of high value currency notes along with a series of other reform measures have resulted in formalising a large part of the Indian economy, Prime Minister Narendra Modi said today in the Philippines capital Manila. In an address at an ASEAN business forum, PM Modi also highlighting rolling out of the Goods and Services Tax (GST) as well as measures for bankruptcy and insolvency proceedings, besides the linking of Aadhaar database with financial transactions as part of broader policy initiatives to bring transparency in the financial sector. "We are using our Unique ID system in financial transactions and taxation for this purpose and the results are already visible. These steps, coupled with demonetisation of high value notes has resulted in formalising a large part of our economy," the prime minister said. PM Modi also spoke about repealing of 1200 outdated laws in the last three years and simplification of procedure for investors to do business in India. He said the Act East policy of his government puts the ASEAN region at the centre of India's engagement. "We have exceptionally good political and people-to-people relations with each and every country in the ASEAN region. We wish to bring our economic and business relations up to the same level," he said. Last year, on November 8, the Government of India announced the demonetisation of all Rs 500 and 1,000 currency notes.